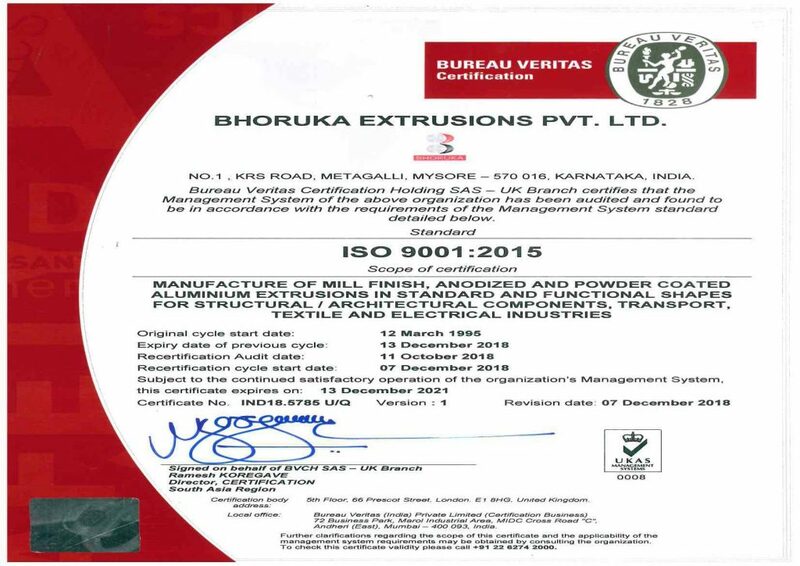 Quality has been a tradition with Bhoruka Extrusions. Our stringent quality control standards and quality assurance systems cover all work processes right from manufacture till shipment. The company’s quality policy is directed towards total client satisfaction with on-time delivery schedules and other functional requirements. The company’s quest for excellence is a constant pursuit, with a commitment to develop and improvise our products and services.